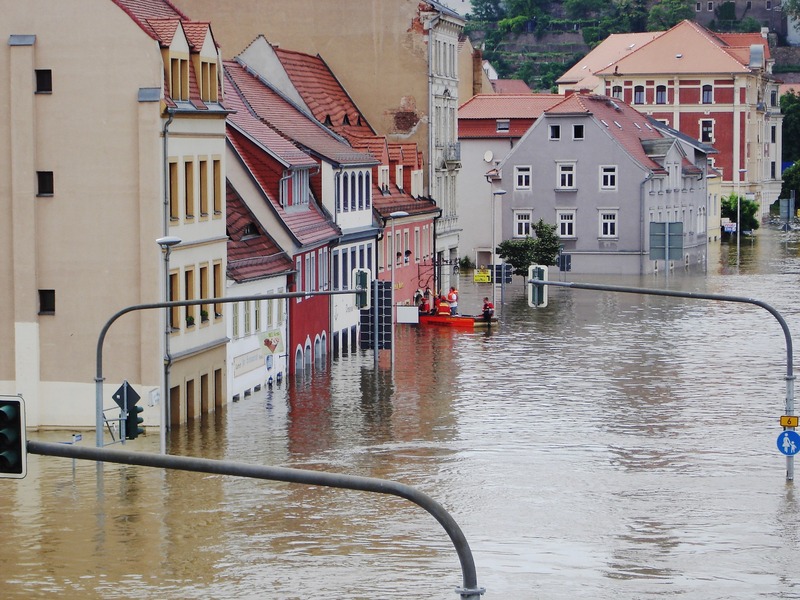 Does debris removal coverage apply concurrently when an insurance policy limits “flood coverage for all losses ‘resulting from Flood to buildings, structures or properties in the open’ in the covered flood zone”? In Oxford Realty Group Cedar v. Travelers Excess and Surplus Lines Company the New Jersey Supreme Court held that a policy’s cap on flood damages applies to all damages arising from flood. Oxford Realty Group Cedar, CLA Management and R.K. Paten LLC (“The Plaintiffs”), own and manage an apartment complex located in a flood zone in Long Branch that was severely damaged by flood during Superstorm Sandy. The Plaintiffs purchased a Commercial Property policy with Travelers Excess and Surplus Lines Company (“Travelers”) to insure the apartment complex, including debris removal coverage capped at $500,000.00. A flood endorsement, limited to $1 million, was added to provide flood coverage in the policy. After Superstorm Sandy, Plaintiffs took steps to repair the damage caused by flooding, including debris removal. The Plaintiffs filed claims for flood damage in excess of $1 million and for $207,961.28 in debris removal costs. Travelers contended that recovery of any damages resulting from flood was limited to $1 million, including for debris removal, and thus, only paid Plaintiffs $1 million on its claim. Plaintiffs then sued Travelers, wherein the trial court granted summary judgment in favor of Travelers, concluding that the flood and debris removal coverage was unambiguous and that the coverage for flood damage was limited to $1 million. Plaintiffs appealed the decision. While the Appellate Division agreed that the coverage was unambiguous, it reversed the trial court’s decision, reasoning that the $1 million limit only applied to damage to the building itself and that the insurance policy provided additional coverage for the cost of debris removal caused by flood. The New Jersey Supreme Court, in a 5-2 opinion, reinstated the trial court’s grant of summary judgment in favor of Travelers, concluding that the Flood Endorsement section of the insurance policy explicitly stated that “the most [Travelers] will pay for the total of all loss or damage caused by Flood … is the single highest Annual Aggregate Limit of Insurance specified for Flood shown in [Section B.14 of] the Supplemental Coverage Declarations. This limit is part of, and does not increase, the Limits of Insurance that apply under this policy.” Applying Chubb Custom Ins. Co. v. Prudential Ins. Co. of Am., the Court additionally found that the Appellate Division overlooked the express coverage cap of $1 million for all damage caused by flood by applying the Plaintiffs’ alternative reading of the coverage contract, rather than the plain, express language of the contract itself. The Court further noted that the doctrines of contra proferentem and reasonable expectations are less applicable in commercial cases and in particular when dealing with surplus lines policies. When applying this lesser standard, the Court found no ambiguity in the language of the insurance contract. The Court turned to the United States Court of Appeals for the Eight Circuit for guidance, noting a case, Altru Health System v. American Protection Insurance Co., concerning a hospital that was temporarily shut down by a civil authority after suffering severe flood damage. The Eighth Circuit considered whether a policy’s limitations for damages caused by civil authority interruption applied concurrently with the policy’s limits for damage caused by flood occurrence. Similarly, the Eighth Circuit found that the cap on damages for flood applied to all damages arising out of the flood, and that the civil authority damage limitation did not apply in addition to the flood damage limitation. “The doctrine that, in the interpretation of documents, ambiguities are to be constructed unfavorably to the drafter.” (Black’s Law Dictionary, 10th Ed.). “The principle that an ambiguous or inconspicuous term in a contract should be interpreted to favor the weaker party’s objectively reasonable expectations from the contract, even though the explicit language of the terms may not favor those expectations.” (Black’s Law Dictionary, 10th Ed. ).